Kia Motors America (KMA) brings the all-new Kia Optima Hybrid 2017 with better dramatically sloped fastback look. 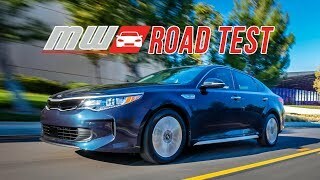 The mid-size Optima are Kia’s best-seller, and it’s been an impressive contender in a highly competitive market. Hybrid is a critical addition in making it a fuel efficient more. 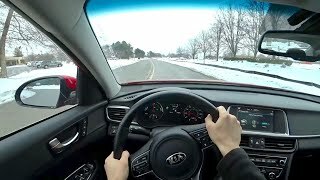 Let us have a close look at the review of the Kia Optima Hybrid 2017 and get to know more about the gestures of the superior model. The interior of the Kia Optima Hybrid 2017 has a numerous styling features. Its cabin include the Android Auto and Apple CarPlay capability, a Verizon connectivity system and smartphone app with LTE wireless that features remote start/stop and remote cabin temperature setting. The comfort ability of the seats are enhanced with a stiffer seat frame that reduces vibration and with the greater use of soft foam in the headrest and upper back, and denser, more supportive foam in thigh-support areas. Heated and ventilated front seats are available with power adjustable driver and front passenger seat. There is a sound system with 10 speaker setup and 630 watt digital amplifier. There is more usable cargo space than the previous optima and 60/40 split-folding rear seats. It also contains autonomous emergency braking, blind-spot detection, lane-departure warning, front-collision warning, and advanced smart cruise control. Entire interior of the Kia Optima Hybrid 2017 is enhanced to provide better experience. The exterior of Kia Optima Hybrid 2017 is glamorous in look. 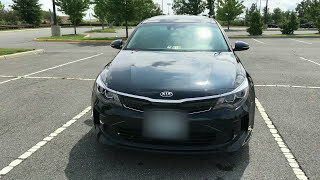 Kia’s familiar "tiger nose" grille has a flush piano-black cover and, is there on the Optima also. It offers distinctive design features and exterior elements that differentiate it from the gas-powered models in the Optima range. The front fascia contains the active grille shutters (that’s able to open and close automatically at high speeds to improve engine cooling and aerodynamics. ), aero-enhancing wheels, complemented modern LED lighting, chrome side sill molding, and 'Eco Plug-In' badging.. There is also an integrated decklid spoiler and a bespoke rear diffuser that also hides the exhaust outlet. There is also a unique front apron, a beveled rear bumper with an air diffuser and more aerodynamic wheels that are unique to the Optima Hybrid. LED exterior lighting and satin-finish paint also set the Optima Hybrid apart from the others. The whole exterior of the Kia Optima Hybrid 2017 is gorgeous in appearance. 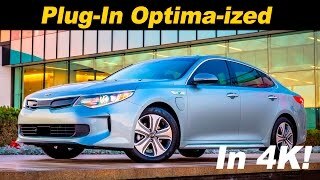 In order to have a heavy power output Kia Optima Hybrid 2017 is being engineered with highly efficient 2.0-liter direct-injection four engines. This 154-horsepower engine is connected to a 38-kW electric motor via a hybrid starter-generator, providing a system total of approximately 193 horsepower and the torque generated is 190 nm. 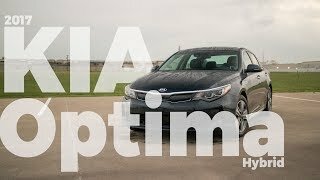 The sprint capability and the maximum speed of the Kia Optima Hybrid 2017 are yet not shared by the brand.